Paragon Sponsors Deal of the Year Award at the Insider Property Awards. The 20th anniversary of the Property Awards North West. 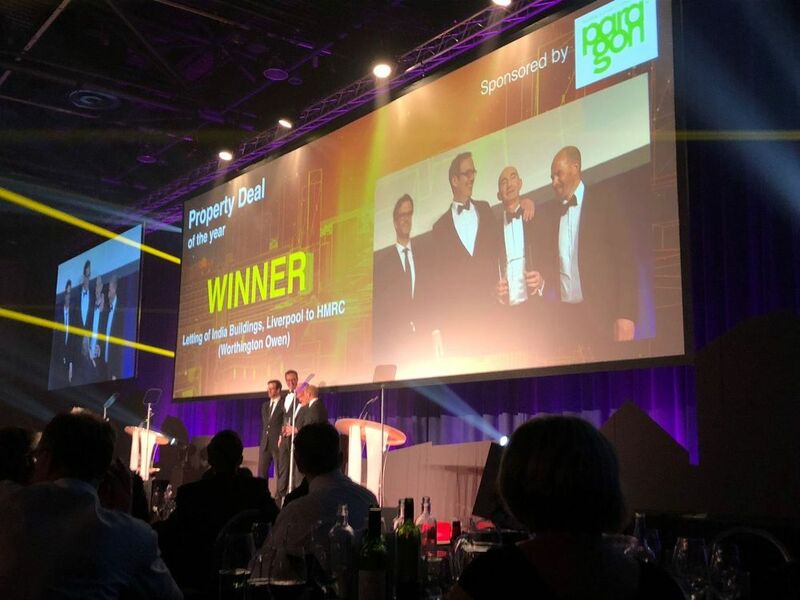 Paragon is pleased to have sponsored Deal of the Year Award at the Insider Property Awards in Manchester on 17 May 2018. The event was a great success and celebrated the 20th anniversary of the Property Awards North West. The award was presented by Paragon director, James Onions. Congratulations to Worthington Owen for winning the award for the letting of India Buildings, Liverpool to HMRC.